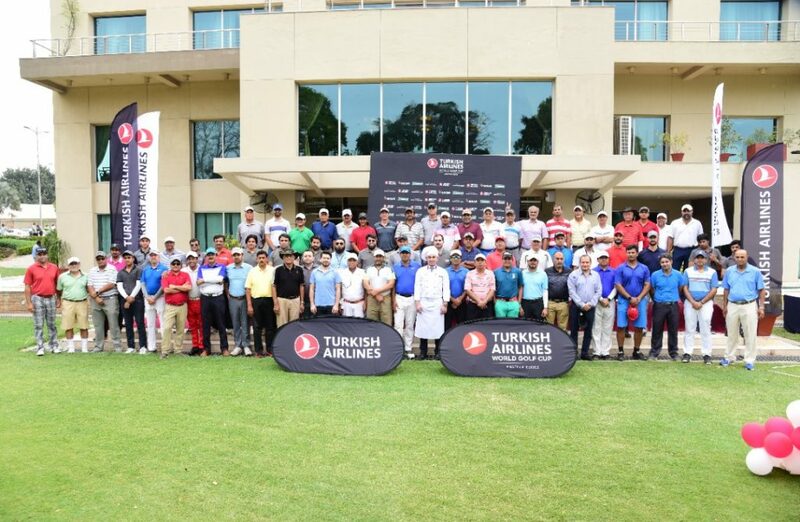 LAHORE: The 7th Turkish Airlines World Golf Cup segment held at the Royal Palm Golf Course yesterday was a battle oriented competitive engagement between 110 golfers of merit. And during the 18 holes competition, the Turkish Airlines World Golf Cup invited the best quality golfers, and that made the whole activity a duel and struggle for success as the participating champion amateurs. In the end at the conclusion of 18 holes the young one, Hassan Hamid compiled a total of 41 points, under the stable ford format, to emerge as the golfer entitled to go to Turkey in November for the grand finals where 70 countries will be represented. Rivalry and quest for top slot ended in Hassan’s favour as this talent loaded golfer won with an admirable display of command and control over his shot making, accumulating 41 points, compiled through steady and accurate hitting and nerve free putting. Throughout the 18 holes, at this Turkish Airlines Golf Event, Hassan was continuously hounded by some very accomplished golfers like Amir Chaudry, Imran Haider and Waleed Zubair. These three did not win but had impressive and fighting scores. Imran Haider aggregated 40 points and lost the trip by one point whereas Amir and Waleed had 39 points. And the delighted winner, Hassan said “The resolve to play to a plan has yielded awesome success”. He lauded the Turkish Airlines team for awarding him a 10 days trip to Turkey to participate in an international championship in Turkey and avail the finest of hospitality on offer by Turkish Airlines. Hamid Eldelekiglu, General Manager of Turkish Airlines complimented the top performers and other participants for making the Turkish Airlines World Golf Cup in Lahore a great success. He also highlighted that previous winners have teed up alongside the likes of Tiger woods and Rory Mcllory in the Finals. Other results: Nearest to Pin – Ali Naeem – Nearest to the Pin for Ladies – Ana James Gill; Gross Winner – Waleed Zubair; Overall Winner – Hassan Hamid; Runner up – Imran Haider; 3r Position – Aamir Chaudry. The Championship was followed by a grand prize distribution ceremony where Emir Ozbay – Council General Turkey, Hamid Eldelekiglu – General Manager Turkish Airlines, gave away prizes to the winners. Ceremony was attended by Abdullah Sharif , Captain Golf, Col. (r) Jamil, Director Golf and participating golfers.